This entry was posted in Oral Care, Toothbrushes and tagged bass method, bristles, charter's technique, fone's method, modified stillman's method, plaque, rolling stroke method, scrub technique, toothbrush, toothbrushing techniques on May 11, 2012 by chzechze. The very first toothbrush was introduced around 3500BC. These toothbrushes are in the form of “chewing sticks”. These sticks are taken from trees such as Garcinia kola and Govania lupiloides.The ends of a stick are chewed on until the fibres of the wood have frayed and take the form of a brush, which can then be used to clean teeth. This type of toothbrush was used by the Egyptians and Babylonians, and was probably the ancestors of the Miswak toothbrushes which are used the same way as chewing sticks. The difference is that they are made from the branches of the Salvadora persica tree, which have healing and antiseptic qualities. 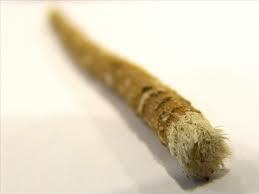 Miswak is still used today and even considered to be superior to modern tooth brushes by some. It is especially popular amongst Muslim communities. This entry was posted in Toothbrushes and tagged ancient, bristles, chewing sticks, history of toothbrush on October 10, 2011 by phebe. 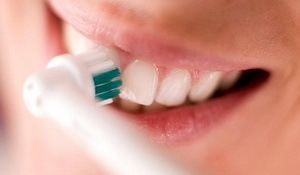 This entry was posted in Oral Care, Toothbrushes and tagged electric toothbrush, electric toothbrush heads, oral hygiene, powered toothbrushes, tooth brushing, toothbrush, toothbrushing, toothbrushing technique on September 18, 2011 by oileng. This entry was posted in Oral Care, Toothbrushes and tagged bass technique, cavities, oral hygiene, tooth brushing, tooth enamel wear, toothbrush, toothbrushing, toothbrushing for children, toothbrushing method on September 16, 2011 by oileng. This entry was posted in Oral Care, Toothbrushes and tagged battery-powered toothbrushes, electric toothbrush, electric toothbrush heads, oral hygiene, powered toothbrushes, rechargeable electric toothbrushes, sonic toothbrushes, toothbrush on September 15, 2011 by oileng. This entry was posted in Dental Care Gum, Dental Floss & Gum Health, Oral Care, Toothbrushes and tagged Dental caries, plaque, plaque and teeth, plaque build up, remove plaque, tartar, teeth cleaning on September 10, 2011 by SH. This entry was posted in Oral Care, Toothbrushes and tagged charging system, colgate, electrical toothbrush, head sizes, Oral B, sonic toothbrush, sonicare, speed, two minute built-in timer, warning signals on September 10, 2011 by chzechze. babies. It begins with bacteria invading the gums and populating in great amounts destructing the tooth tissues and supporting tissues. If the early stage of gum disease (gingivitis) if left untreated, it can progress to more severe gum disease (periodontitis). This entry was posted in Gum Disease, Oral Care, Toothbrushes and tagged electric toothbrush, gum diseases, Periodontitis, toothbrush on July 29, 2011 by suthalini.